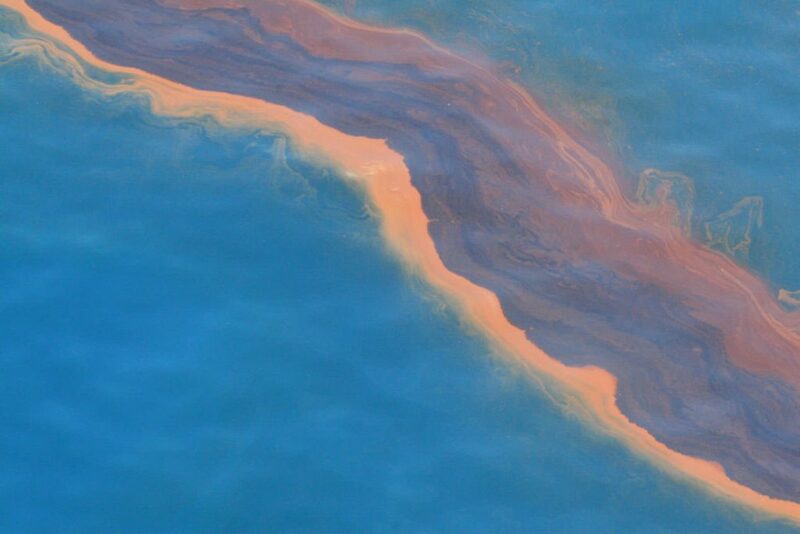 The constant environmental pollution due to different toxic products derived from oil-based industries is nowadays a worldwide problem. Specifically, the toxic products of anthropic origin are not always possible to contain, which makes it necessary to intervene in its decontamination. This challenge can be achieved by breaking down the toxic products using specific bacteria that eat them. For example, it is known that Pseudomonas putida can digest aromatic hydrocarbons. However, in order to enter to the bacteria metabolism, these toxic products need to be transformed into more susceptible and easily assimilated forms. The transformation of aromatic hydrocarbons into food for bacteria requires special iron-dependent enzymes calledRieske dioxygenaseswhich are produced naturally by the bacteria themselves. These enzymes combine the aromatic hydrocarbons with oxygen in an enzymatic oxidation. This process generates compounds with high levels of oxygen that can be metabolised in more energy or used to form new bacterial cells. By taking those enzymes as a model, several researchers have tried to copy the process to transform the toxic environmental products to chemical products that can be reutilized to produce plastics or new pharmaceutical drugs. For this reason, it is necessary to understand how the enzymatic oxidation process works naturally in some bacteria. 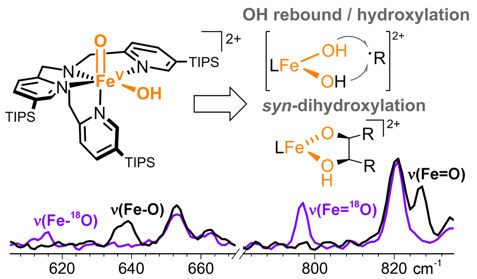 Published studies to date show that enzymatic oxidation produces activated oxygen species (ferric hydroperoxide) when an oxygen molecule and an iron atom are attached in the active center of the enzyme. Due to the high speed of the enzymatic process it is still unknown the active species responsible for the oxidation. Until recently, two possible hypotheses tried to answer this phenomena: individually activated oxygen reacts directly with aromatic hydrocarbons or, this activated oxygen needs to be activated twice to form a reactive species called oxoiron which later reacts with aromatic hydrocarbons. Therefore, the question was whether one or two oxygen activation steps were needed for the enzymatic oxidation. The group of Miquel Costas from IQCC (Universitat de Girona) in collaboration with the Roithova group from Nijmegen University (Netherlands) have recently published a paper in Nature Communications in which the researchers present evidence that can help solve this question. By the ferric hydroperoxide formation of an enzymatic model it has been possible to find out that it does not react with aromatic hydrocarbons. In contrast, when the ferric hydroperoxide is activated to form the oxoiron compound, the aromatic hydrocarbons have been efficiently oxidized. 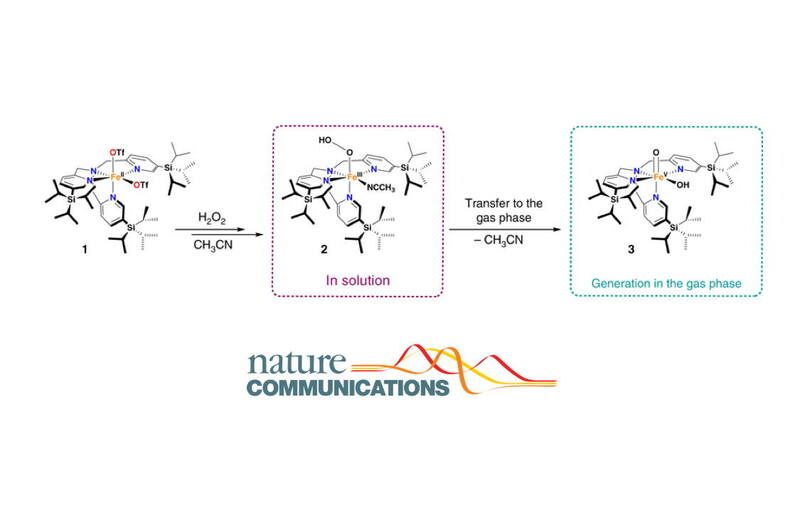 These findings will lead to the creation of new small synthetic molecules that mimic bacteria enzymes naturally capable to transform polluting compounds. Understanding the chemical processes underlying these bacterial enzymes can help reduce the environmental pollution and lead to the discovery of new and simpler ways to obtain chemical products. The multiple enzymatic transformations discovered in the recent years suggests the potential of new discoveries in the near future.